Home > Tips > How to Compost Cat Litter and Should You? 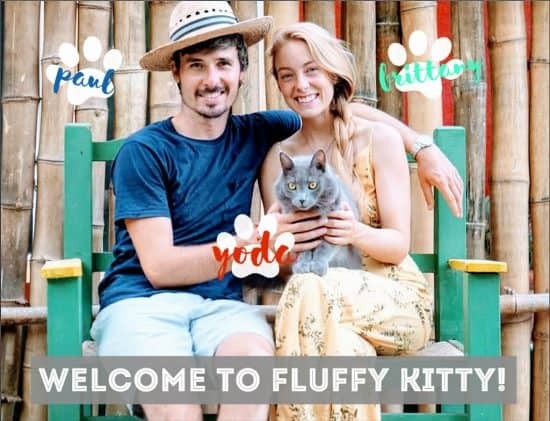 As the world looks to become a little more-environmentally friendly, cat owners will be happy to learn that there are many different ways that they can factor their beloved pet into their green footprint. You might find that owning a pet means you have all kinds of un-environmental products lying around your house, from plastic toys which cannot be recycled, to food packaging (and food waste for the fussy eaters), or even cat furniture and scratching posts which are no longer suited for purpose thanks to some enthusiastic scratching. But one part of your cat’s life you may have yet to inspect for green-living is its toilet habits. It’s an often overlooked fact that a lot of store-bought cat litter is not biodegradable, and some are often made with harmful compounds to allow it to maintain its odor-suppression and clumping facilities (or just to save money). Not many owners know that some natural litters, even home-made offerings, can be far better for the environment. 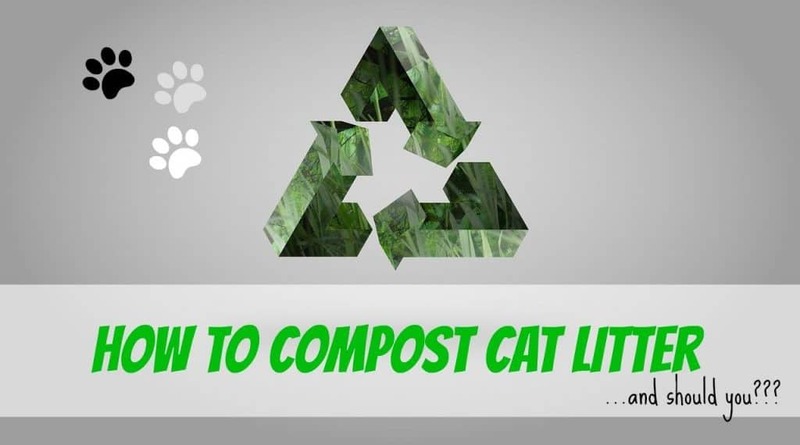 In this article, we will be asking how to compost cat litter, whether your should compost cat litter, and what the options are for the discerning cat owner. Should You Compost Cat Litter? Traditionally, cat litter is unfriendly to the environment. It has a damaging manufacturing process due to the strip mining involved; it is made from clay which has been strip-mined, and can contain nasty toxic compounds such as silica. Aside from the toxicity, they are not biodegradable. Now, the idea of taking your cat’s litter outside, or to a designated composting area somewhere, and later using it to fertilise your yard or garden, is a real turn-off for some. It’s probably a less acceptable (thanks to its obscurity) alternative to the debate regarding compostable diapers, which also gives some people pause for thought. But, if you can put aside squeamishness, this doesn’t mean it can’t be done safely and effectively in a manner which saves money, time, and the environment. So should you compost cat litter? If it is a natural cat litter, made from a renewable or biodegradable source, and you are willing to follow the procedure properly to avoid harmful results, then absolutely! As we’ve mentioned before, store-bought cat litters are a problem. While they may block odors or even make for more efficient clumping around wet patches, they can rarely be used as part of a composting process. Because of the toxins they contain, they can actually damage the structure of the soil – basically doing the opposite of what you want. You must start by choosing cat litter which can instead be broken down. Many companies make litters specifically for this process, and you can find them made of everything from wheat to pine chips to sawdust and more. Anything that might biodegrade while also providing a safe, clean environment (and a comfortable one!) for your cat is ideal. Learning how to compost cat litter is not hard as it sounds. It is a mix of common sense and a few important (and less obvious) rules. First of, always try to wear gloves in order to protect your skin. You must have an outdoor area that can house a compost bin in a hygienic manner. On top of a layer of sawdust, soil, or leaves, dispose of the used litter as you would into any other bin, and then cover with another layer of sawdust (or soil, or leaves). Continue to do this every time you need to empty the tray, so the bin has an overall layered effect or litter and sawdust to mulch down. The key here is patience, you must make sure that you don’t expect fertile compost overnight – prevailing conditions such as the temperature or the season or the weather may either slow or expedite the process. When learning how to compost cat litter, one thing you will need to do, is aerate it. Because good compost requires a healthy ratio of carbon to nitrogen, you need to find the balance here. As this blog notes, it’s not always as easy as it sounds: “In kitty litter composting, the litter is the carbon and the urine and poo deliver the nitrogen.” However, natural cat litters are quite dense and thus heavy in carbon, so require the addition of more nitrogen than might be usual – therefore it will become necessary to ‘turn’ the compost in order to allow more air in. Use a shovel or pitchfork to do that. You can even add earthworms to the mix in order to speed up the process: they can really help digest your cat’s manure and aerate it. It is well worth repeating that the compost will not be ready overnight. In fact it will take months to be ready. You can even wait years if you are not sure. As a rule of thumb, it is recommended to wait from 6 months to a year before considering adding the compost to ornamental plants and fruit trees. By then the manure will no longer look like cat litter and it will take a sweet, earthy smell and a loamy texture. You will want to wait a few more month before adding it to crops like carrots or potatoes which it would directly contact. So assuming you want to make a start on composting you cat litter, there are many different products that can help you achieve that, and can go straight into the compost bin with the poop. A word of caution: pregnant women should avoid handling cat waste under any circumstances as it sometimes carries a virus that may lead to birth defects in a fetus. This particular brand focuses on the wheat variety of natural cat litters. 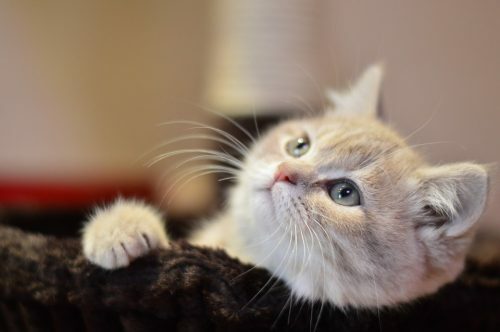 While maintaining the clumping aspect of cat litter (and helping owners clean up urine more effectively), it also doesn’t contain any dyes or perfumes. According to happy customers, it doesn’t break down as easily as some other wheat-based litters. This cat litter from okocat is made from wood, promises to hold up to 500% of its own weight in moisture, making it extremely effective (and cost effective, meaning less regular changes). It’s perfect for a conscientious cat owner, even one not planning to compost their cat litter. As cat owners become more environmentally conscious, there is always more we could all do to make sure that we leave a smaller carbon footprint on the earth. 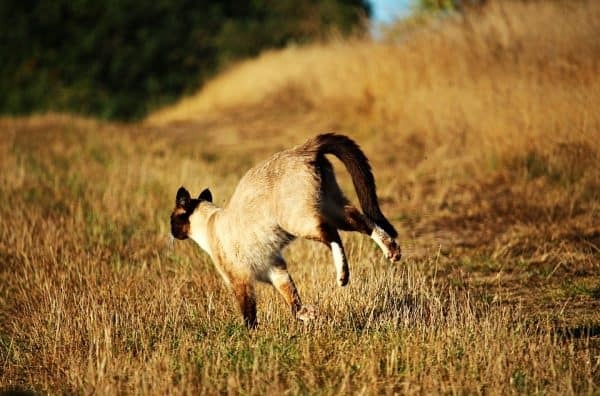 In this article, we have asked whether you should compost cat litter, and how to compost cat litter in a safe and effective way. Following these steps and being a careful with the products you are buying can save you time, money, and most importantly, the environment.